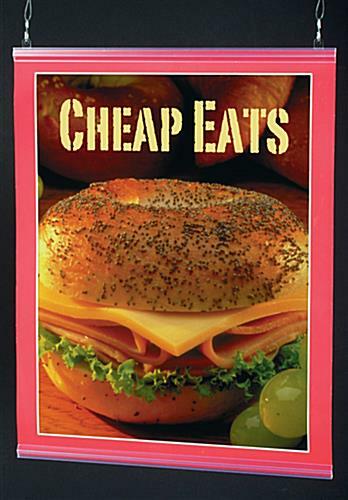 Bulk Sign Supply Company Sells Wholesale! This Sign Supply Hangs from the Ceiling! 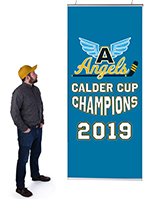 Vinyl Banners and Sign Making Equipment Online! 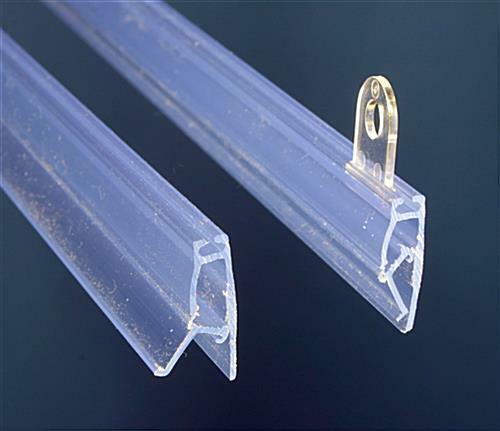 18" 22" 24" 30" 36" 48"
This sign supply is a set of high quality plastic banner rails that are ideal alternatives to cheap plastic or heavy metal frames. 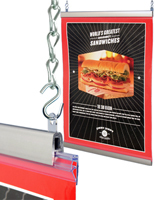 This poster hanger, sign supply, is an easy to use advertising display that hangs from the ceiling. Becoming more and more popular, this sign supply is the one savvy business owners prefer. 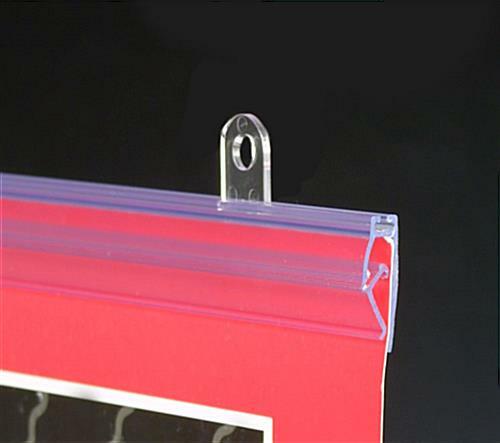 Ceiling mounted sign supplies are easier to see than standard wall mounts. They are also convenient. Many times wall space is not available for advertising as it is covered with products or more permanent displays. These sign supplies that hang from the ceiling bring temporary advertising out in the open and still leave space for more permanent displays. 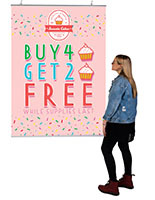 These sign supplies are popular with clothing stores and other retail shops, large department and grocery stores, as well as restaurants and schools. 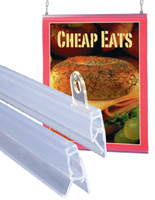 Use affordable sign supplies for sale in bulk to advertise your products and services anywhere! Use this patented sign supply at your business to create an attractive and effective advertising display that everyone will notice!